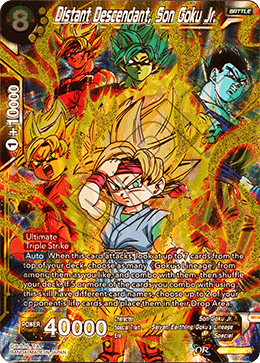 When this card attacks, look at up to 7 cards from the top of your deck, choose as many 《Goku's Lineage》 from among them as you like, and combo with them, then shuffle your deck. 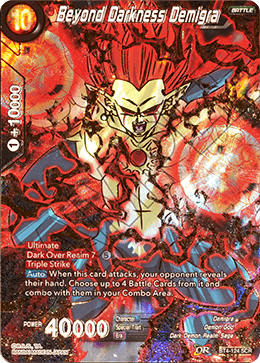 If 5 or more of the cards you combo with using this skill have different card names, choose up to 2 of your opponent's life cards and place them in their Drop Area. When this card attacks, your opponent reveals their hand. Choose up to 4 Battle Cards from it and combo with them in your Combo Area.